1950s gotham big shot tin plate bagatelle game boxed. 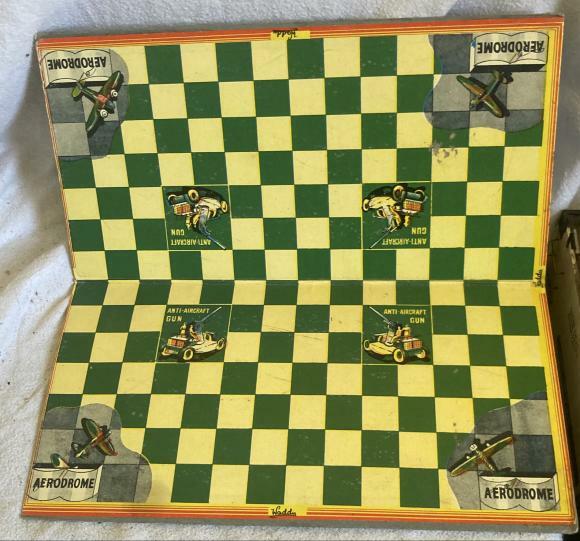 Made in the USA by The Gotham Tin Plate Manufacturing Company, this is a tin plate Bagatelle game called The big Shot. It measures 12 x 24" and other than a small dent on the top left hand side, it is in excellent working condition. It comes with a number of well used balls. Boxed, complete and unmade, this is An Airfix ! ;48 set of British Forces Vehicle Crew from Operation Herrick in Afghanistan. A vintage 1950s Ever Ready razor which comes in lined metal case. A complete James Bond 007 Secret Service game by Spears from 1965. Box is in need of a clean but the contents are excellent. A superb 100% original 1st series Batmobile by Corgi, number 267. It comes with both Batman & Robin and in its original inner and outer box, both of which are complete. Also included are the secret instructions and some of the rockets. There is also the extremely rare lapel badge. The car is pretty much mint condition. The outer box is worn around the edges. A very rare complete example of this classic car. A scarce original WWII tin for Air Raid precaution sealing tape. It still has some contents. The tin is about 2" in diameter. Another edition of the classic blow football game. 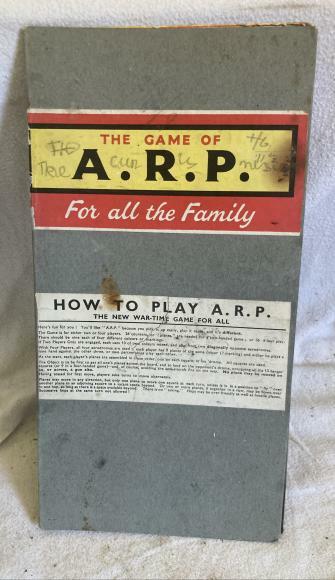 This one is by Marchant Games and has a list of all the FA Cup winners from 1951-61 on the box lid. Complete with both tin goalies, the goals, ball and straws. A vintage, possibly pre-war boxed set of Gibson's Galalaith Gaming Counters. There are over 140 counters. Who buys and Easter Egg then doesnt eat it ? This is a c1960s boxed Easter Egg by Beech's of Preston. Condition as per pics but please note the chocolate is a tad past its sell by date ! !.